Roadblock: Bhel equipment installed at the Rihand power project. The company looks to set up units abroad, including Europe and Indonesia. 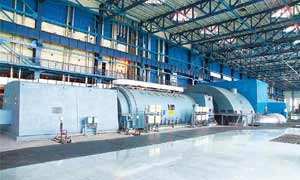 New Delhi: State-owned Bharat Heavy Electricals Ltd (Bhel) has said it could not bid for a contract in West Asia because of curbs imposed on equipment made in India. The engineering, procurement and construction bid was invited by Sharjah Electricity and Water Authority (SEWA) of the emirate of Sharjah in the United Arab Emirates (UAE) to set up its Hamriyah power station. The tender for the project, reviewed by Mint, says “the equipment manufactured at China, India, Africa and Latin American countries shall not be accepted, even from their principles located in West Europe, United Kingdom and United States. Only renowned brands in the industry shall be identified and preferably should be from Middle East, Europe, United Kingdom and United States". “This is only an example," said a senior Bhel executive who declined being named. “There are also other public-sector units that face problems there. We try to compete in these conditions and have been requesting the Indian government to take up issues of biased qualification clauses with governments in West Asia." A senior official in India’s commerce ministry confirmed similar discrimination Indian firms face in West Asia. “We have taken up the issue with the governments there. However, there is nothing much we can do as it is their sovereign decision," he said, without elaborating. This comes at a time when the country’s largest power generation equipment manufacturer is looking to buy companies and start joint ventures to access new markets. To do so, it would require orders to build overseas manufacturing capacity. Besides setting up manufacturing or servicing facilities in Europe, Oman, Egypt, Saudi Arabia and Indonesia, the company also aims to establish a joint venture in West Asia with a local partner to make valves and other equipment to cater to the growing oil and gas exploration and production market in the region, as reported by Mint on 8 November. It also plans to start a joint venture in Saudi Arabia to service and repair transformers and is scouting for partners. While questions emailed to the SEWA were not immediately answered, UAE embassy officials in Delhi declined to comment saying its new ambassador—authorized to answer such queries—was yet to join. Bhel currently has orders worth Rs1.10 trillion. Its global projects contributed Rs3,200 crore till date to Rs24,000 crore worth of orders generated in the fiscal year that began in April. The company plans to triple export orders to Rs10,300 crore by 2012, in a bid to hedge against currency fluctuations related to raw material imports, as reported by Mint on 4 November. “With stipulations such as these, it is a setback in terms of Bhel’s ability to increase its export order book, which is very important to keep the growth momentum going," said Madanagopal, an equity research analyst at Mumbai-based Centrum Broking Pvt. Ltd. “We have to see how things pan out." India is trying to politically and economically engage countries in West Asia to secure fuel supplies, especially gas, because countries in the region have significant reserves of oil and natural gas. Bhel, which has a manufacturing capacity of 10,000MW a year, plans to produce equipment capable of generating 56,000MW a year by 2012. However, with India aiming to add an additional installed capacity of 78,577MW by 2012, Bhel’s capacity is insufficient to cater to local demand, which is increasingly being targeted by Chinese equipment makers such as Dongfang Electric Corp. Ltd, Shanghai Electric Group Co. Ltd and Harbin Power Equipment Co. Ltd.
Bhel’s focus on exports also stems from a concern that its market share in India may come down to 50% from the current 60% in the next five years because of increasing competition from local and overseas companies. Bhel has cash reserves of Rs8,000 crore. It posted a net profit of Rs2,859 crore on revenues of Rs21,401 crore in the fiscal year to March and aims to become a $10 billion-plus company by 2012.